I’m really excited about Taylor and Caleb having each other as they grow up. Right now, they can’t really play together that much, but I’ve caught them hanging out a few times in the last few days. 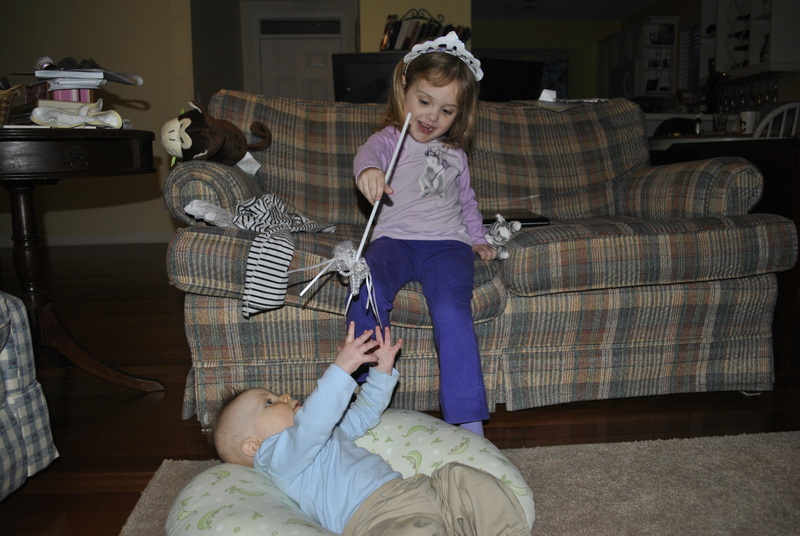 I’ll walk out of the room, and when I come back, Taylor is playing with her brother. I think she’s making sure he’s ok when I’m not in the room. It’s really sweet. 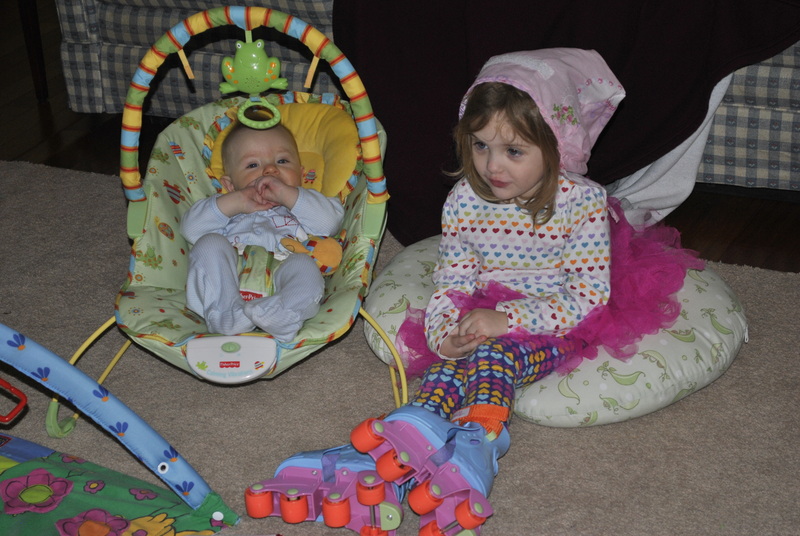 Also, I would be remiss if I didn’t point out the outfit combination of heart pants and a heart shirt (that do not match), pink tutu, roller skates, and pillow case on her head. She is special. I’m enjoying this phase of Caleb’s life when I get to pick out his clothes…I have had very little influence on Taylor’s attire for about a year now. i do love that outfit…Taylor is nothing if not stylish!